March is Still Snow Season in Colorado! With the unusually warm temperatures and abnormally dry conditions we have experienced for well over a month now, it is easy to forget that we are still in the heart of snow season for Colorado. March is, on average our snowiest month of the year statewide and while the first half of the month hasn’t lived up to that title, there are signs from some of the medium range and long range models that we may still have a shot at a decent sized winter storm. For the entire month of February we have seen a very pronounced ridge to our West steering many storms away from Colorado and keeping us under sunny skies and dry air. 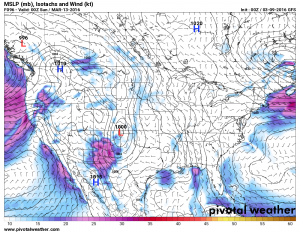 Due to the positioning of the high pressure ridge and some of the associated features East of Colorado we have also saw very windy days throughout the past month as well. 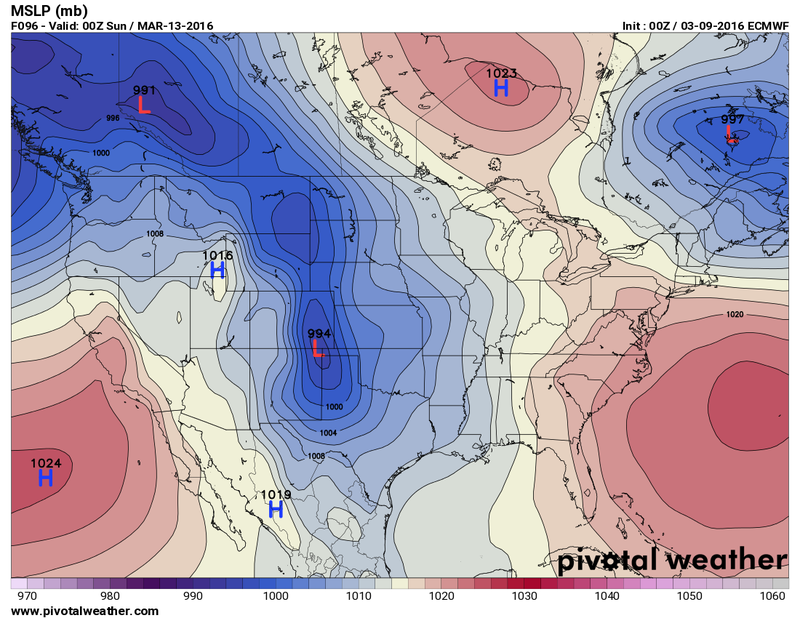 The above image is what we’ve seen a lot of lately, a high pressure over Colorado or just to our West. There are signs however things are changing and we saw the first glimpse of this with the wild weather that arrived in Colorado on Monday. 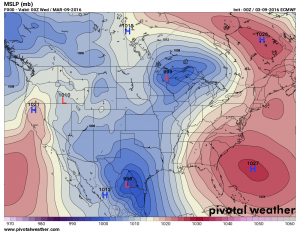 Euro model shows breakdown of high pressure ridge over Western U.S. Modeling has been somewhat flaky this year, I believe they are simply having issues trying to understand a complex El Nino setup that has not behaved like a typical El Nino. Basically I have been taking any model predictions more than 5-7 days out with a grain of salt and while they have struggled with details further out they are good general look at what the atmosphere “may” be doing over coming days and weeks. 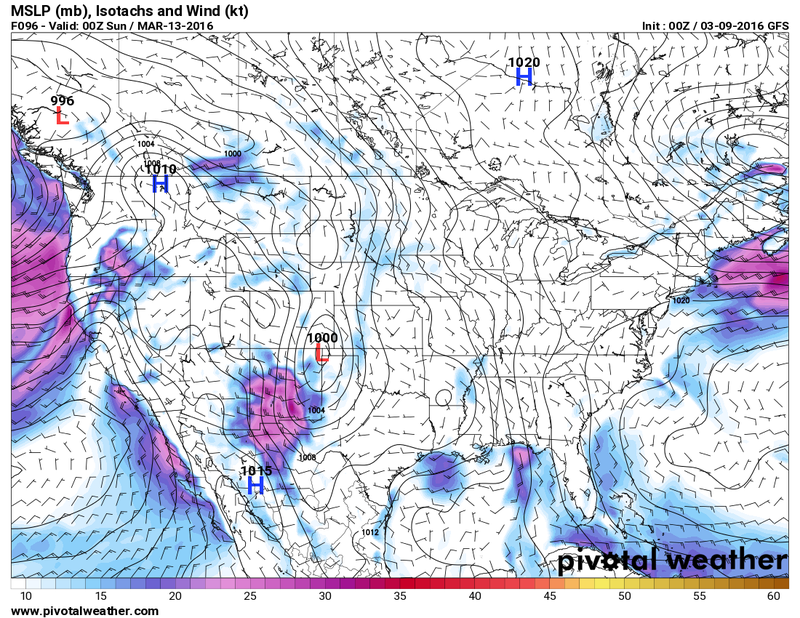 This is the exact setup of a low pressure system we would expect to see for a large snowstorm for the front range of Colorado. The reason I’m not hyping this particular storm system up is that there are a lot of things working against it. As it is further out, there is no guarantee this will be the positioning of the low, there doesn’t seem to be a ton of moisture with it and the system as a whole is projected to move very quickly. So why am I even talking about it? Just the fact that we are seeing things like this suggests that eventually we are going to transition back to a cooler wetter pattern across the state. When you have storm tracks like this, moving in the way the are, you always have the potential of something surprising us. I don’t see anything impressive for these storm systems at the moment, but the potential is there for one of these to sneak up on us. 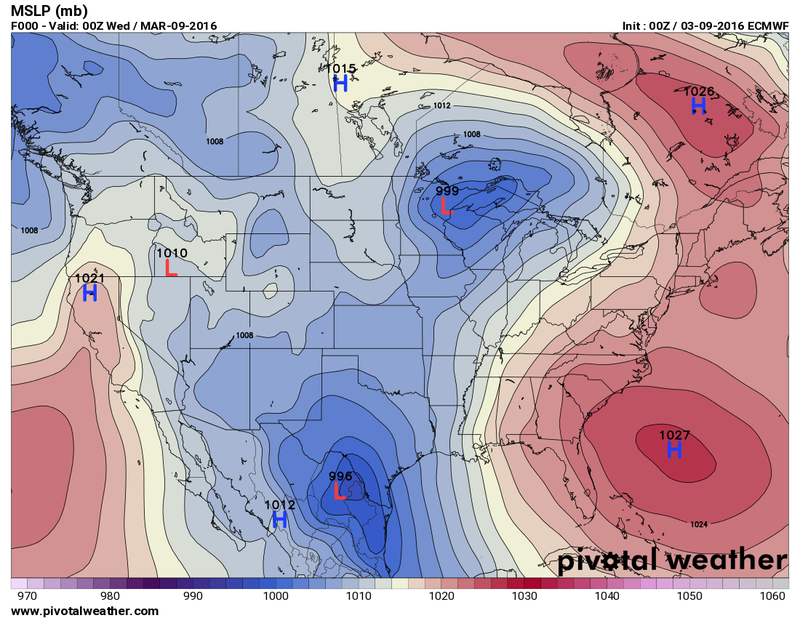 I’d be keeping an eye on late next weekend and into the middle and later half of next week. 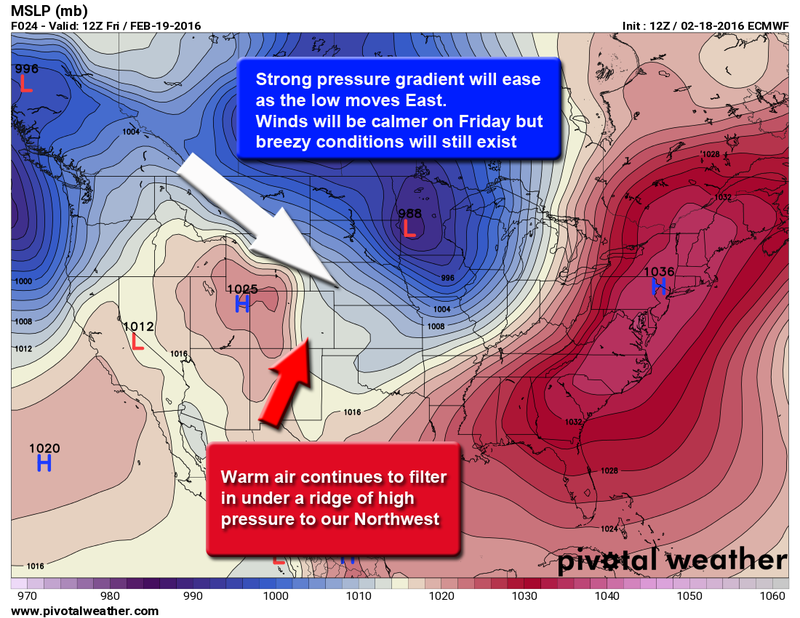 Does a Big Snowstorm Look Possible in the Next Couple of Weeks? We’ll look again at the CPC prediction maps as they will give us a good look at the odds of being colder or warmer, wetter or drier over the next 2 weeks. The CPC predicts a higher than average chance that temperatures will remain above normal through the next 6-10 days, but they also predict a higher probability of being wetter than average. So we should expect to be warm and relatively wet through the next 10 days. I see the bulk of any precipitation coming after this weekend, it looks dry and warm through that period. To sum this all up; we will be keeping a close eye on how this all plays out in the next 2 weeks. A big snow storm is POSSIBLE in the next 2 weeks given the information I’ve seen but I won’t go so far as to call it LIKELY. The fact is that El Nino years tend to be warmer than average and as we get later in March the angle of the sun and temperatures begins to work against us. The main takeaway here is don’t put away your snow shovel yet and don’t get those snow tires removed just yet. 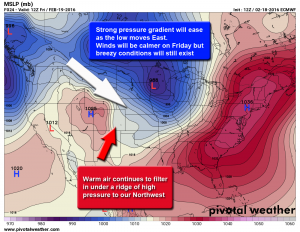 There are several opportunities starting next week for something to come out of left field and surprise us and the weather lately has a tendency to lull people into a false sense of spring. In the near term, should anything begin to look interesting I’ll be sure to post details on it and give as much of heads up as possible. Thanks for reading and stay tuned!